The European Union released a document on September 27, 2012. This is a communication from the Commission to the European Parliament and various other committees. The document is subtitled “Unleashing the Potential of Cloud Computing in Europe”. It makes for very interesting reading. The entire communication spans 32 pages with diagrams and tables and is a great discussion on the importance of the cloud and how it needs to be managed. Many experts in the cloud computing business have taken this document to be a protectionist document that somehow seeks to ensure that European business is retained within Europe. However this is not so and when the paper talks of using local data centers, it is not out of protectionism, but as a method to overcome privacy issues. The document covers a number of best practices and problem areas associated with cloud computing. In the Cloud Computing environment, computing becomes an operating expenditure rather than capital expenditure – when you rent cloud computing cycles rather than buy servers, your expenditure goes into operating expenditure. There is no capital expenditure and depreciation. The hardware you use is always modern and updated and efficient. The Internet uses more energy in the US than the entire US auto industry does to make cars and trucks. This is an amazing statistic and it brings out that the energy efficiency of the networking devices we use and the data centers themselves is extremely important. Global energy consumption by the Internet and the data centers is 623 bn kWh. This makes it the fifth largest consuming ‘country’ in the world. The Internet will triple its electricity consumption in a few years and would exceed the total demand from France, Germany, Brazil and Canada. Even with such large energy consumption overall, there are significant energy savings for large companies when they move to the cloud. Large companies in the US could save as much as $12.3B every year by moving to the cloud. As a consequence of these major savings’ possibilities, the paper says, Europe must move wholeheartedly to embrace cloud computing. According to an IDC study commissioned by the European Commission, the global market will increase from $21.5 bn to $73 bn in 2015. Europe will get a 1% to 2% of GDP boost in the top five countries and nearly 11.3 million jobs will be added. A majority of European firms – 64% – are already using basic cloud computing services. However, most firms are still quite cautious and reluctant to spend more till they gain more confidence. The key beneficiaries of this technology are the larger firms which look for major business benefits. It is surprising that the smaller firms – those who have the most to gain – are the slowest to adopt the technology. Firms that do not adopt cloud computing are essentially worried about data protection, data breach risks, liability to third party customers and worries about being able to enforce the service level agreement. Yet another barrier to use is the lack of reliable high speed Internet. If your connection is not available near 100% of the time, you cannot really repose faith in the system. Most users start by porting simpler, non critical applications to the cloud when they first start. Later as they gain more confidence, they switch to more mission critical applications. 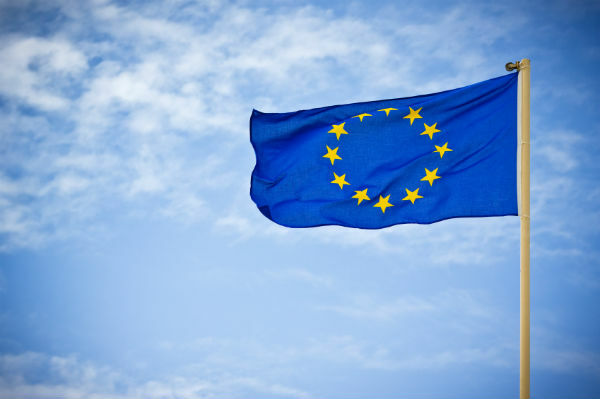 Why are European governments advising users to go for data centers within their own respective countries? One reason lies with the US Patriot Act itself. Most companies are worried that the US government could demand complete access t o the data stores on the cloud. If the US government wants to increase the business coming into its data centers, it will have to find other, more acceptable ways to be able to examine the data it is working with. Sanjay Srivastava has been active in computing infrastructure and has participated in major projects on cloud computing, networking, VoIP and in creation of applications running over distributed databases. Due to a military background, his focus has always been on stability and availability of infrastructure. Sanjay was the Director of Information Technology in a major enterprise and managed the transition from legacy software to fully networked operations using private cloud infrastructure. He now writes extensively on cloud computing and networking and is about to move to his farm in Central India where he plans to use cloud computing and modern technology to improve the lives of rural folk in India. 12.21.2012What Can Rendering Service Market Get From Cloud Computing?